My 2 year wedding anniversary is today!! It’s amazing how much can change in just a couple short years. Originally when I decided to write about my wedding, it was going to be all about the jaw-dropping architecture of the church, the design elements of the venue we chose and my favorite decor details – since this is supposed to be a blog about design, right? 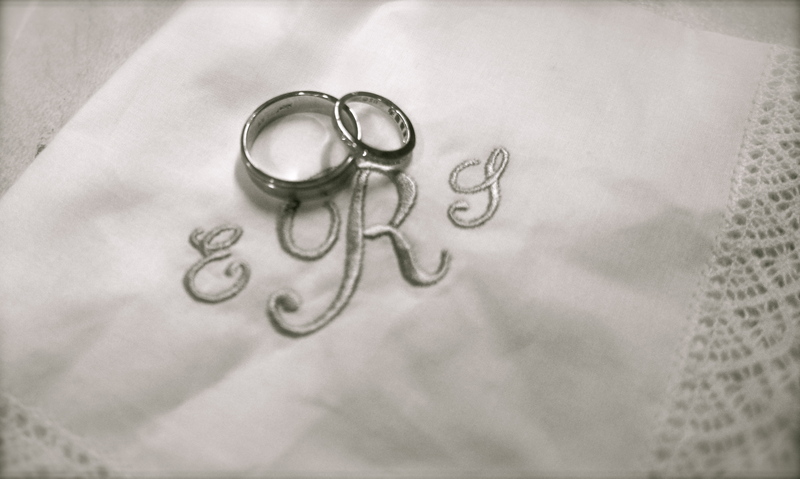 But instead, I’m sharing a very personal story about my experience “designing” a wedding. Planning my dream wedding was exciting, fun but also a little trying at times. 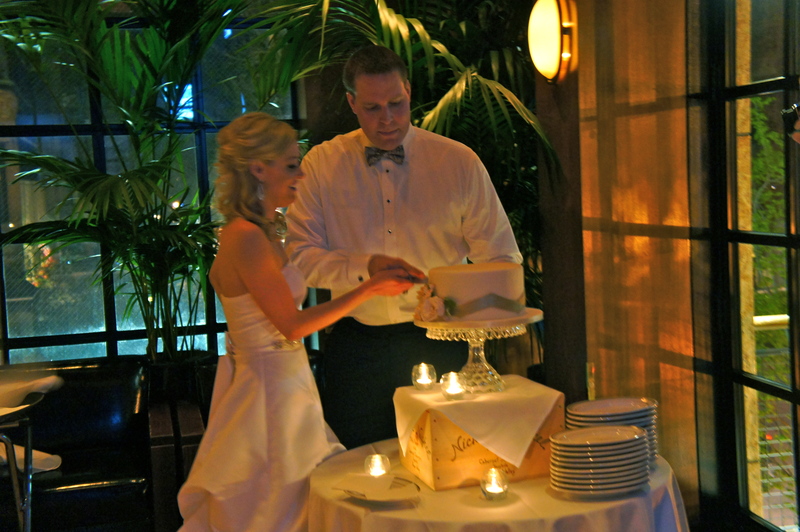 I spent hours upon hours picking out the perfect everything – flowers, venue, invitations, dress, centerpieces and so on. I probably went to too many upscale wedding events at the fanciest places (Hello, Ritz!) and had a million ideas for this most magical day in my life. I am also that DIY kind of a girl and “stick to the budget” so you can imagine the setbacks to follow through with these extravagant ideas. For this ONE day in my life that I spent so much time planning really was amazing. However, this date was July 5th. Not the wedding I am about to tell you about. Which was in fact, my unexpected perfect wedding and basically planned in a just a few hours. Let me tell why this wedding happened and then I’ll elaborate on how I pulled it off. 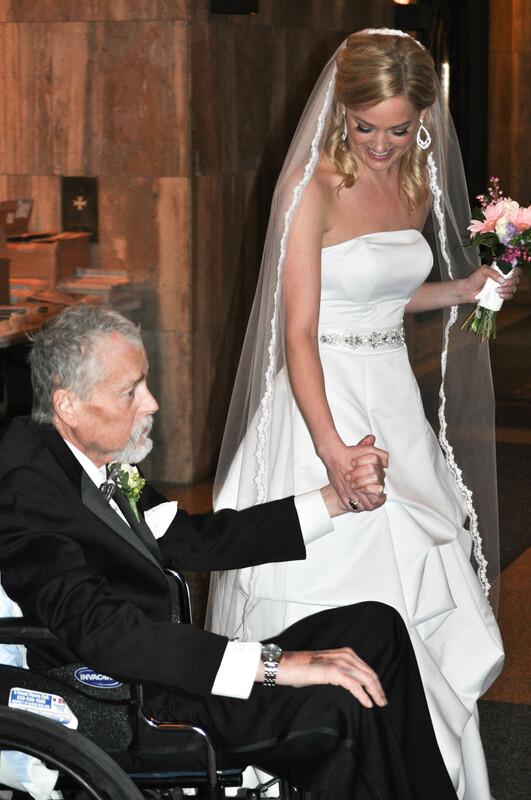 My Dad, was diagnosed with cancer shortly after my now husband, Eric and I were engaged. Even at one of the best hospitals in the country, it was a long struggle for the doctors to finally diagnosis him. He had a complicated case but the doctors were hopeful and so were we. Even after harsh treatments of chemo and radiation my Dad was always all ears and thrilled about my upcoming wedding. I will admit he got into wedding mode almost as much as I did!! He loved picking out wedding decor, favors and the attire for all the men in the wedding party. It’s so easy to get caught up in all the details of a wedding and it can be pretty stressful depending on who you have to help plan everything. Let me remind you that going through these vigorous amount of treatments were not easy but my Dad’s goal was to walk me down that aisle, whatever it took. 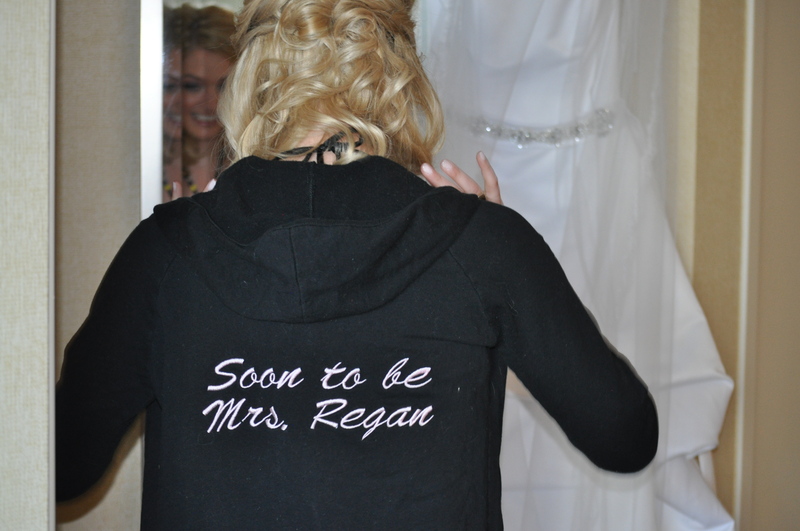 Very shortly after my bridal shower in April, he contracted an infection while at the hospital. I’m sharing a lot of details but I am getting to the fun stuff soon. This infection unfortunately at my Dad’s stage was incurable, therefore he was basically stuck in a hospital bed until it totally took over. Life is really NOT FAIR sometimes. My Dads oncologist, Dr. Stein, pulled me aside, explained the tragic details but told me she could arrange for my Dad to leave the hospital ONE last time. Knowing how important my wedding was to us, she offered to help coordinate the logistics to move the wedding up. I was a little nervous about what Eric was going to think about this idea as it was not coinciding with our big party plans, but he was all for it!! Let me tell you one other thing about my Dad – huge Blackhawks fan. Huge. My boss at the time coordinated amazing seats for us to go to a playoff game (this was unreal at the time btw!) but my Dad thankfully agreed for us to have a small ceremony. I should mention that this was not easy an easy decision for him to make. He knew how much time we spent planning our dream wedding and it was extremely difficult to accept that he wasn’t going to be alive for it. But now that everyone was on board, it was time to get to the details! I didn’t have the luxury of time and since we didn’t plan for this in our budget, I had a thousand some constraints. And was this even possible to pull off?? I had to think quickly and decide what REALLY mattered here. This was really going to be my official wedding after all!! 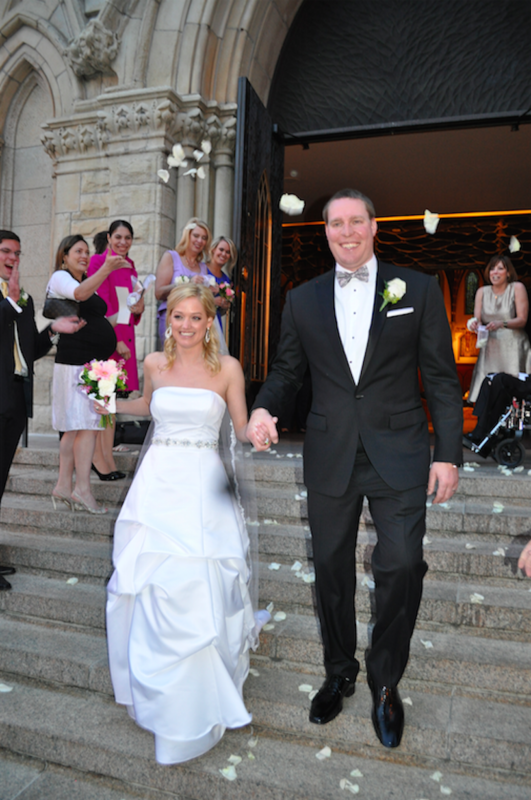 The first step was finding a church near the hospital and an officiant that would marry us in such short notice. 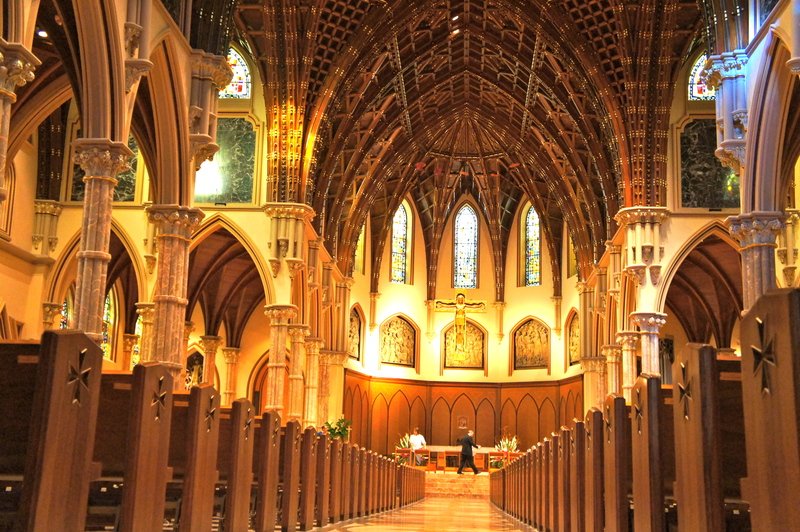 Amazingly enough, Dr. Stein had a connection at Holy Name Cathedral which is one of the most famous cathedrals and is absolutely stunning. 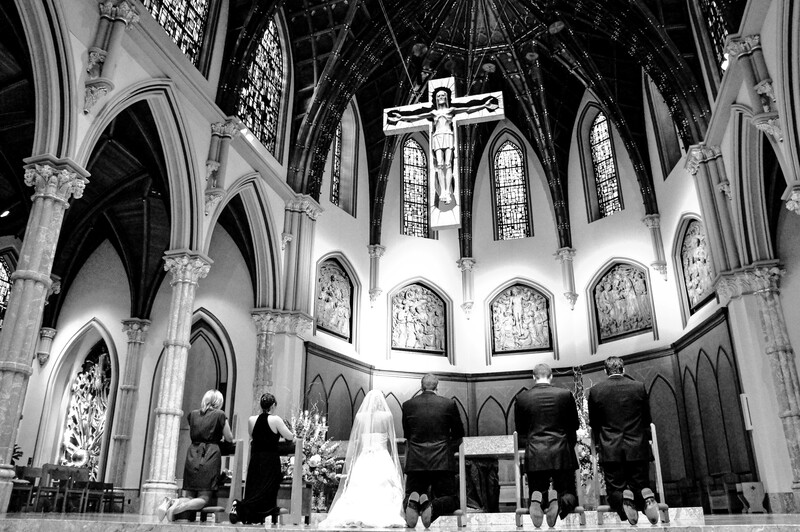 I had grown up visiting this cathedral on only very special occassions and to be able to get married here, was a blessing. 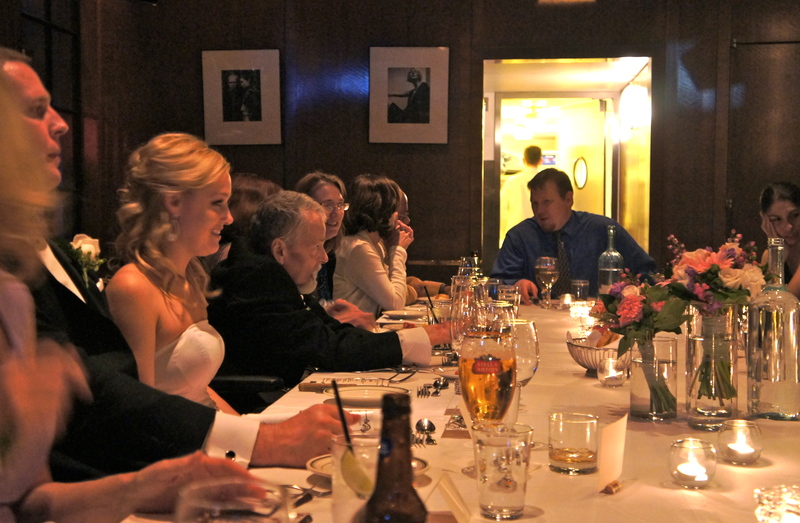 Guest list: Selfishly, I didn’t care who else was there as long as my Dad was going to give me away as a bride to Eric. Growing up, I was never the little girl that imaged her wedding day (I preferred to decorate the dollhouse instead). However, what was important to me was that the most important man in my life was going to be there when I married the man I wanted to spend the rest of my life with. It was clearly a very difficult, unfathomable almost, time and I want to elaborate that the decision Eric and I made for our guest list was deliberate so we could celebrate with everyone in July on our original guest list. We invited our immediate family, my dad’s best friend and cousin, Eric’s aunt who was in town visiting and my aunt (who was really the glue to pulling this off!). What I mean by “glue” is my aunt was not only helping with the wedding logistics but keeping my family somewhat sane in this emotional time. If your having a wedding with 10 guests or 500 guests, it’ll fly by! The most important thing for me was to appreciate those moments with my husband and to remember the real meaning behind a wedding – the beginning of our marriage! 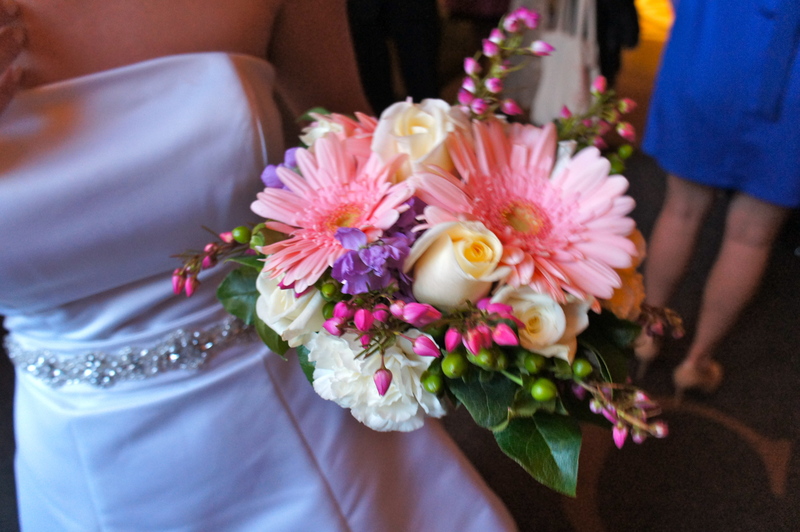 Flowers: I went to a local florist and within 10 minutes, I had picked out my bouquet, 2 bridesmaids bouquets to match, 2 mothers corsages and 4 boutonnieres by simply going to their fridge and picking out the flowers that were in season in the colors I liked. Done. I was actually really nervous how these were going to turn out but I was impressed! I never actually like gerber daisies before but I had limited options here. Now I love them because they remind me of this day. The bouquets were also used as the centerpiece for the dinner table along with some of my favorite candles I had brought from home. Remember I mentioned budget and DIY? 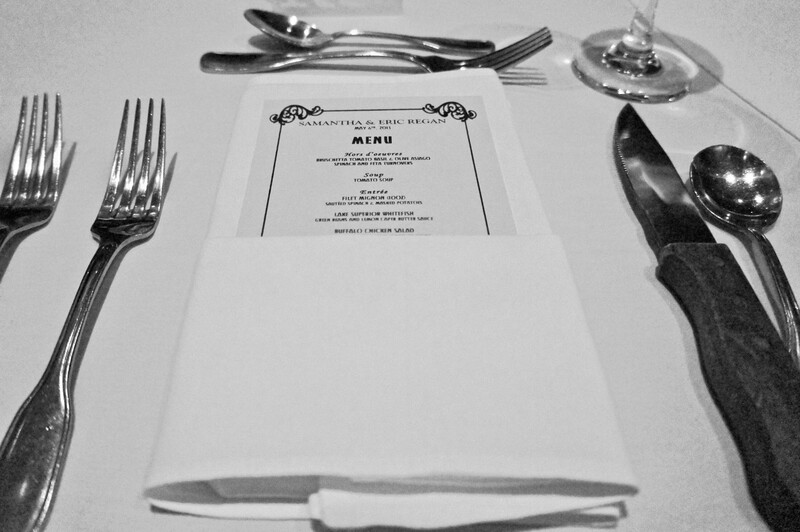 With the help of my brother and sister-in-law we created ceremony programs, menus, drink list, and place cards. Rings: Eric and I went met with our jeweler and luckily, I found a wedding band I loved and in my crazy small ring size. Eric found one too, however since it did not arrive in time, he borrowed one for the ceremony. 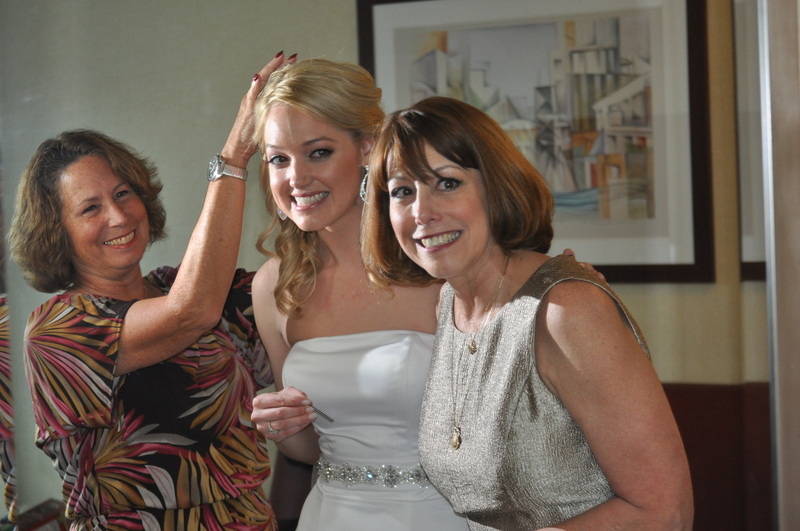 Attire: I left the dresses up to my beautiful bridesmaids, my sister and Eric’s sister, who both looked fantastic. The groomsmen, Eric’s brothers, wore suits and the bow ties from The Tie Bar (picked out by my Dad). Finding a wedding dress for myself in a style I liked and that fit wasn’t as easy. I finally found one at a consignment shop in the suburbs and they were even able to do alterations. 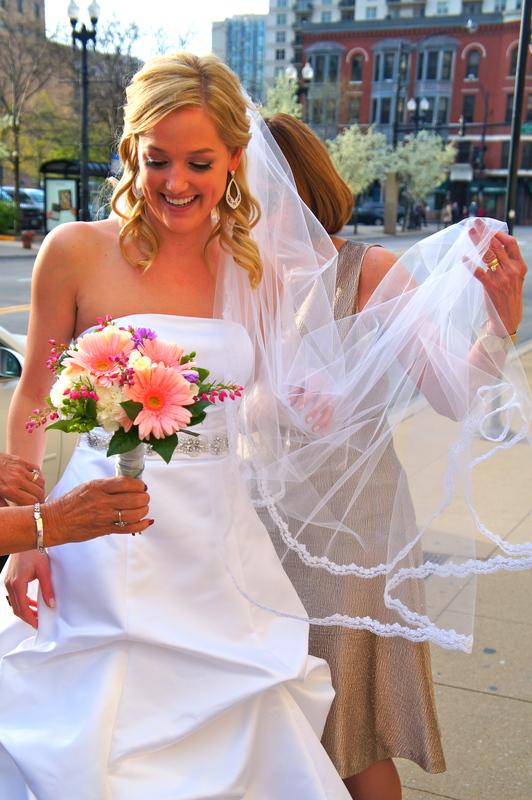 The shop owner and seamstress went above and beyond to help me out and delivered the dress downtown on Monday afternoon. I was having a custom veil made as a gift from my dear friend. I had already designed it and was thrilled when I found out it could be ready in time for the ceremony! Dinner: We chose one of our favorite restaurants, Luxbar, which happens to be very close to the cathedral. I worked with the catering manager quickly on a custom menu which offered a few of our favorite entrees and drink options. By choosing the options ahead of time we were able to keep the total cost under control and still have a variety of delicious options. Dessert: I contacted the bakery who we already contracted with and they were able to make a mini version of the cake we designed. It was petite but perfect. Everyone’s idea of “perfect” is different and everyone wants their wedding to be their version of perfect. 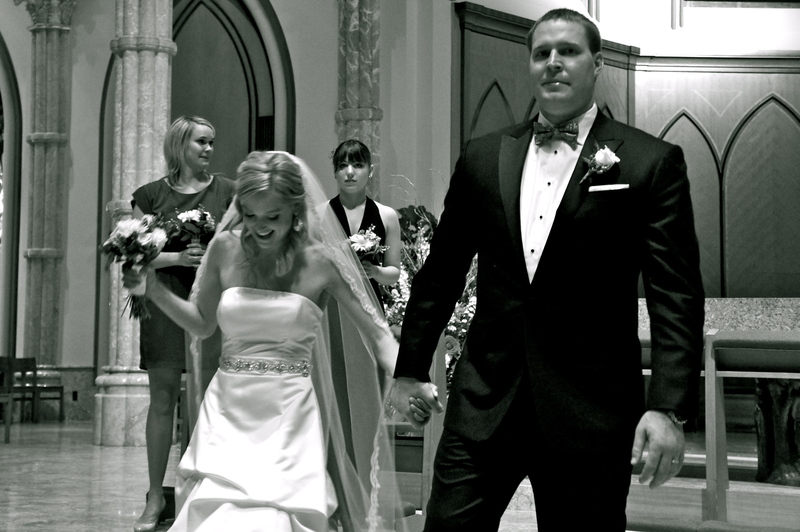 For me, this was never how I dreamed my wedding day would be, and despite the circumstances, I feel blessed that I’ll always have the greatest memories from 2 amazing days – the day Eric and I became husband and wife and the day that we renewed our vows and celebrated with our family and friends. I believe the key to a perfect wedding is not the dress, venue, or how much money you spend, but who you spend it with and how you spend those moments on your special day. I am forever grateful for those that put their lives on hold and make this unforgettable day happen. And thank you to all of our friends and family that offered us so much love and support during this time. Photo credits: Thank you Nicole Regan and Andrea Onuskanich for capturing these moments! Happy Anniversary! Love everything about this day.